About the author of . . .
Diane Longanecker has worked with horses for most of her life, having started riding about the same time she started grade school. After 25 years showing a variety of breeds in performance classes, she gave up horse shows in the early 1990s when she became interested in the approach to working horses that stresses "the horse's point of view." To broaden her perspective and strengthen her understanding, she spent the next four years traveling several western states attending clinics put on by more than a dozen different horsemanship clinicians. Diane lives in a two-room log house on a 160-acre ranch that's tucked away "off the grid" in the Blue Mountains of southeastern Washington state. She writes for the Eclectic Horseman. Print copies, as well as PDF downloads, of back issues containing her horsemanship articles are available at the magazine's website. Her work appears in the following issues: 9, 10, 11, 13, 14, 15, 16, 17, 18, 19, 20, 21, 35, 52, 53, 55, 56, 57, 59, 80, 81, 83, 84, 86, 89, 92, 94, and 100. 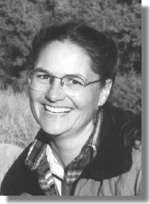 Many of her other horsemanship articles, covering a wide range of topics, can be found at EzineArticles.com. Diane's latest book, Halter-Tying Success, Second Edition, provides a comprehensive guide to making correct-fitting, hand-tied rope halters for horses. Copyright © 2002-2019 by Horse Owner Success Books. All Rights Reserved.